With 2017 just a few days away, we decided it’s time to take a good long look at all the style trends that had come and gone the past couple of years. And do you know what we realized? We’re sick and tired of man buns and undercuts! Don’t get us wrong, we applaud the trailblazers who dared to grow their hair long and knot it up in a bun in a time when men generally kept it short and (somewhat) tidy. And we can’t help but admire those who decided to go all out with their fades and their faux hawks and practically made an art form out of the undercut. But here’s something to chew on though—we visited more than a dozen Instagram accounts of male celebrities, and around 75 per cent boasted photos of our idols in various styles of undercuts. (It honestly started blurring together after a while). Which made us realize one thing: it’s definitely time to ditch these ‘do’s! To help you get started, we decided to find a few awesome hairstyles we encourage you to try out in the new year. Trust us, it’s time to put the man bun and/or the undercut to rest! 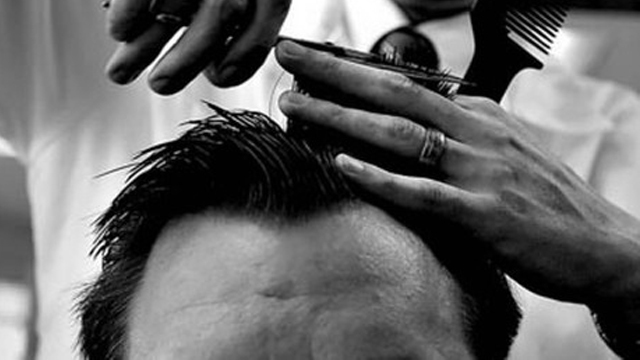 Done right, a slick back will make you look effortlessly suave and classy. Drop the ball, though, and despite the simplicity of the style, you can end up looking like an old school gangster; or worst, a slimy executive with something to prove. The secret to keeping your hair from looking like it’s greasily plastered to your skull is to go easy on the product—make sure to use just enough to hold the style in place, but not a bit more. In fact, while a neat slick back looks elegant AF, something a little messier can look even sexier. Here’s another rather classic ‘do, but one that we wholeheartedly believe has definitely stood the test of time and remains as stylish as ever. It’s appropriate for nearly any occasion—it’s just a matter of how firmly you comb it in place. And the best part? While it’s true that this look can turn boring if you stick to it all the time, unlike an undercut, you’ll be left with a full head of hair, so you actually have a lot more freedom to play with your hair and style it however you like! Pro-tip: One great way to turn this ‘do up to 11 is adding a bit of pomp and volume to your comb over. The last couple of years has seen the male half of the world grow hairier, with many of our brothers deciding to grow out their locks. Most of them though did this for the sole reason of having enough hair to tie back into the ever-popular man buns. We won’t deny that there are a lot of fellas who can pull this off, but just as many cannot, tbh. This 2017, it’s time to let your hair loose from the bun and let it fly wild and free. Embrace your man-waves! You’ve probably sported a buzzcut before. It’s a style almost all men go through at least at one point in their lives (sometimes not really by choice). A no fuss, no muss ‘do, it’s perfect for the bro on the go who can’t be bothered with styling his hair everyday, but who still wants to look good. And the thing we love most about the buzzcut? We’ve never met a woman who hasn’t been tempted with running their hands all over a bristly dome! Stand out from the rest of the pack by bucking the prevailing hairstyle trends. 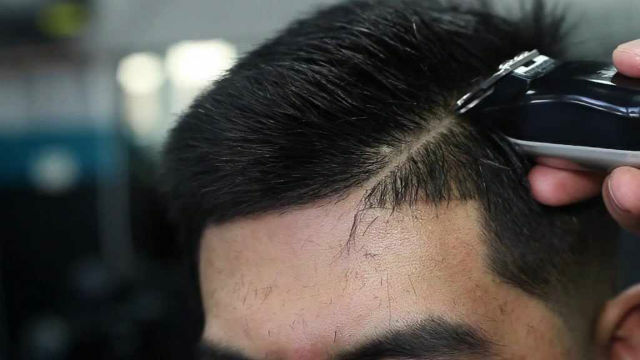 Believe us, a lot of people are tired of seeing the same ol’ ‘do on every guy out there. Make the most of the new year and try out one (if not all!) of these hairstyles this 2017.